ANZAC Day is on Thursday, where hundreds of thousands of people will turn out and commemorate all the men and women who served in the first World War. We would also like to take a minute to recognise the brave horses who carried the soldiers on to the battleground. Often going without food or water for many hours, carrying soldiers with a lot of equipment, these horses also gave their lives to serve. The main breed of horse used by Australians overseas were known as Walers. They were called this as most came from New South Wales but were in fact mixed breeds from all over Australia. A few of the main influences on the breed include Thoroughbreds, Timor pony, Arab and Cape horses. Despite their similarities to the Australian Brumby, it is unlikely the Waler breed had much of their bloodlines in their lineage, particularly in the later stages. The vast majority are bay in colour, and around 15-16hh. These horses were used for their hardiness and temperament and are still bred today. 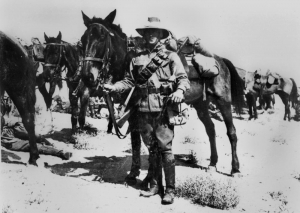 For more information on these horses, we have included a link to the Australian War Memorial site here. An article by the ABC from 2014 on the Waler horse here gives more insight into this breed of horse, which did not officially have a registered association until 1986. The people who breed them today say they have particular qualities to pass on and are a good choice for many disciplines due to their quiet, calm temperament and stamina for work. We hope you all had a fantastic Easter break, and stay tuned for our new winter stock and sales coming in the very near future! Why not give our Facebook page a like and then you’ll be notified of any great bargains we have coming up! Having fun with horses isn’t always about jumping on their backs and riding. Groundwork and building trust and a bond with your horse are important too. 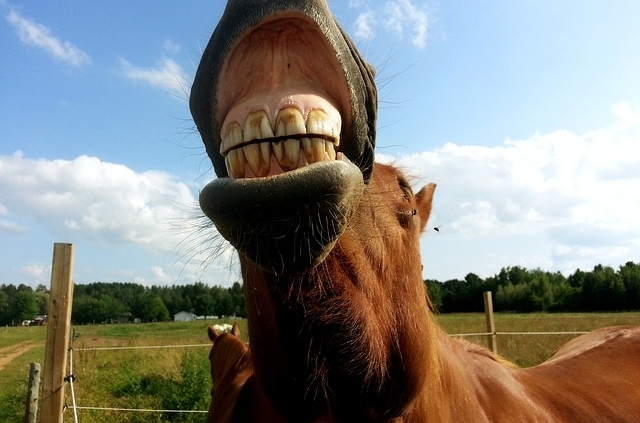 For something different, why not teach your horse a few simple party tricks? All you need is positive reinforcement, rewards, and patience! Here are a few to get you started. 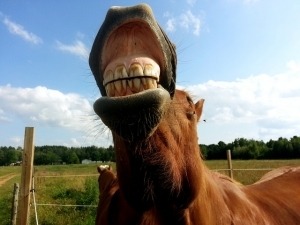 Get a treat your horse likes, and hold it over its upper lip. By moving the treat up and down, your horse will move its lip to try and get the treat. When your horse does this, make sure you reward them by giving them the treat. Repeat step one, and gradually ask the horse to lift its lip higher before giving them the reward. Once they have gotten that far, start adding a spoken command and a hand movement. Saying “smile” and lifting a finger is an example of how to do this. If you do this every time your horse lifts its lip, they will eventually associate that word with the action. This is a very common trick that is usually taught to a horse for ground manners and respecting people’s space. It can be taken further and can be taught while you are actually riding the horse at the time. The key to “back up” is your horse walking backward when you say “back” or “back up”, and move your hand in a waving motion. When starting, gently ‘push’ your horse backward. As you are doing this, say “back” and moving your hand or finger in a motion of your choice. Reward your horse every time it does so. Once that step is established, repeat and then start using less and less pressure on the horse, always rewarding them when they do so. When your horse has recognized this, stand slightly offside from the front of your horse and say “Back” while using your chosen gesture. Your horse should back away. Stay at step one/two as long as your horse needs to understand. At some point, if you choose, your horse will also back, while you are sitting on it. Gently lift, or touch your horse’s leg and say “lift”. If they make any movement at all, then reward them. Keep repeating the first step, once you have done this several times and your horse has responded, lift your leg simultaneously. Reward and repeat. Once your horse has understood, it should lift it’s leg when you lift yours and say “lift”. You can also keep touching your horse’s leg. When your horse has figured out the trick, it should be able to perform the leg lift while you are standing on the ground and in the saddle. Lay a towel or a tarp in front of your horse, and lead them to it. Most horses will try to stomp or paw at it to test if it’s safe to step on. Immediately reward them if they do so. To progress, walk to the tarp, say ‘count’ and touch their leg. When they start counting, immediately praise and give your horse a treat. Repeat a few times. In between, make sure you lead your horse away from the tarp. Following a few training sessions, you should be able to leave the object and just use a visual cue and voice to make them count. In conclusion: It is all about positive encouragement, patience, and no punishment. If you make it fun and stress-free for your horse to learn these tricks, they are more likely to catch on to other tricks in the future! Here is our facebook for more information and updates. Make sure you visit and like our page. Endurance Riding – More Than A Trail Ride! We hear a lot of talk in the horse world about dressage, showjumping, and eventing. These are even Olympic sports that people and their horses compete in worldwide. If these aren’t the kind of competitive riding events you’re interested in, have you thought of endurance riding? Here in the Brisbane Valley area, we have loads of beautiful trails that are perfect for leisure trail riding. You can even train and compete in endurance events! One such event is the Yarraman Endurance Ride on the 30th – 31st March. Held by Endurance Horse Sports Australia, it has multiple options for competing over 20, 40 or even 80kms. Obviously, these types of events require prior conditioning to enter long distances. If this is something that you think you’d like to work up to, why not head over and find out more about what is required! 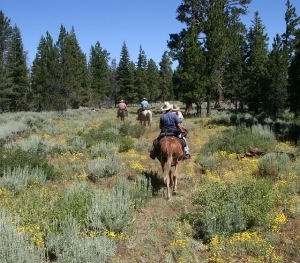 Endurance riding is long-distance races, that are broken up into checkpoints. It is far more than just attempting to go full-speed the entire way and involves planning what pace to set per section. There are often multiple distances to choose from, to cater for people new to the sport as well as experienced competitors. In an endurance ride, the winner is the first one to cross the finish line while stopping at intervals for vet checks. These ensure the horse isn’t in distress or exhausted and able to continue on. Unlike horse racing though, any improvement on your horse’s performance is viewed as a success, not necessarily coming first overall. It is a true test of a horse and rider’s stamina, not unlike marathon racing. 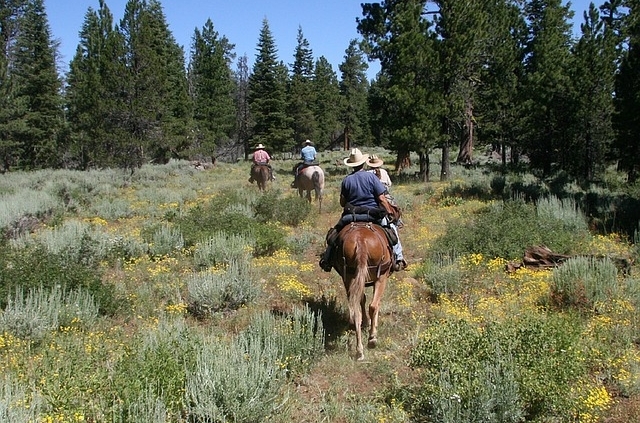 Endurance riding differs from trail riding – you are given maps of the set route you must take, and if you miss a “checkpoint”, you can be disqualified. If there are any significant terrain obstacles like creeks, ditches or steep inclines and declines, the rider will be notified of them as well. Gear is also important. You generally want any tack to be light and well-padded for your horse’s comfort. 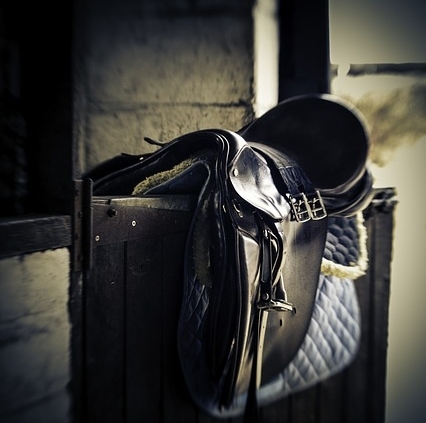 There are saddles that have been specially designed to be lightweight, breathable and much more comfortable for the horse and rider over the distance. Some horses will be ridden in bitless bridles or even rope halters, and quite often the use of a breastplate will be required for steep inclines. This is just a very brief overview of endurance riding. If it has piqued your interest, why not head over to the EHSA website to find out more? If you require embroidery for an event such as this, why not get in contact with us and find out how we can help. Have a safe and fun weekend! https://www.bangforyourbuckhorsegear.com.au/wp-content/uploads/2018/10/horseback-riding-1393029_640.jpg 562 640 BFYB https://www.bangforyourbuckhorsegear.com.au/wp-content/uploads/2018/07/bfyg-logo-min_300x300.png BFYB2019-03-15 13:00:282019-03-15 13:00:28Endurance Riding - More Than A Trail Ride! Whether you’re a child or an adult, we all have those favourite horse movies that make an impact and we remember for years to come. For today’s blog post we thought we’d select 10 horse films that have stood the test of time over the years! Which ones do you remember? Australian film based on the extremely well-known poem by Banjo Patterson. It is centered around a station-hand named Jim who tries to prove his worth to the owner by chasing a mob of Brumbies over the countryside. Another Australian film about a woman who can telepathically communicate with horses and find out what they’re thinking and feeling. She uses this talent to help a man struggling to keep his breeding farm going. Originally written as a book, and then turned into a film. Seabiscuit is set during the US Great Depression and centers around 3 men and their horse who are trying to make it big on the racing circuit. Starting as the underdog, the horse goes on to have great success on the field and in the media. Another racing movie, Phar Lap tells the story of the famous “Red Terror” and his strapper Tommy Woodcock. They dominated the racetrack in the 1930s and suspiciously died in the USA in 1932. With many attempts to stop him racing back in the day, it remains a mystery to this day what happened. Tells the story of a 12-year-old girl named Velvet, who wins a horse in a raffle and wants to train him for a race called the Grand National. After issues with the jockey, Velvet pretends to be a boy and rides The Pie in the race, and wins. She is found out at the end of the race. This causes her to be flooded with offers to ride, and she turns them all down to live a normal life with her horse. Based on a book, The Horse Whisperer tells the story of a horse trainer with a gift for understanding horses, who is asked to help a girl named Grace and her horse Pilgrim back to health physically and mentally, following a riding accident where their friends were killed. There have been many adaptations and version of the story of Black Beauty, which is based on the novel. Most versions tell the story of the life of a horse named Back Beauty from his perspective, and the good and bad experiences he has during his life in the 1940s. Another novel-based story, with many differences. The original book is about a wild mare named Flicka who is tamed by a boy. The movie adaptation centres around a wild horse who is captured and bonds with a girl. This is because they’re both seen as “misfits” to friends and family. The true story a mother tells her daughter about the prince of the Brumbies in the mountains where they live. He must find his rightful place amongst his kind to become the leader of the wild horses. The main survival factor for the Silver Brumby is avoiding being captured by “The Man” who desperately wants to have him for himself. Tells the story of Stripes, a zebra who is accidentally abandoned by the circus and raised on a farm next to a racing track. He grows up believing he’s a racehorse and is eventually taken onto the track. Naturally, he wins with the daughter of the farm owner as his jockey. We hope you have enjoyed our rundown of some of the most popular horse films around. As most are based on books, why not go have a read and share the stories with your families as well! Until next time, have a happy and safe riding weekend with your best friends! We’re in the last week of the summer season and the horse rugs sale is going great guns. This is great for us, but it means you need to get in quick to secure your rugs before our current sale ends! Hop over to our summer horse rugs section and get them today! We’re making room for our winter to stock to be listed from the start of March, so once these deals are gone, they’re gone! If you need a bit more convincing that our horse rugs will exceed your expectations, here is a list of their features and benefits. Durable, affordable and excellent fit! We cater from the smallest Shetland to the largest Clydesdale and everything in between. If you wanted to personalise your rugs, why not take a look at our embroidery choices? You can add embroidery on any of our horse rugs. We guarantee you and your horse will love it. So head on over and get into our horse rugs sale today! Contact us if you have any questions or specific needs for your horse. If you are looking for Airmesh horse rugs information,we got you covered! Read more about airmesh rugs. Are you a member of our Bang For Your Buck Horsegear Facebook page? If yes, you’ll know that for the last few weeks we’ve had a sale on our Airmesh horse rugs that is due to end soon. If no, you might be missing out! These airmesh horse rugs are incredibly popular. They are tough but lightweight and provide protection from the sun and insects while letting your horse’s coat breathe and stay cool. Some mesh rugs we like to call ‘Tissue paper with holes in it’. Not our mesh rugs. They will stand up to the test while keeping your horse cool and comfortable. You only need to read our reviews to see how great they really are. You can check out the Airmesh horse rugs here, and below we’ve listed the main features that make them so popular. Heavy duty buckles and clips – these will not fall off at the first catch on a tree or a fence. 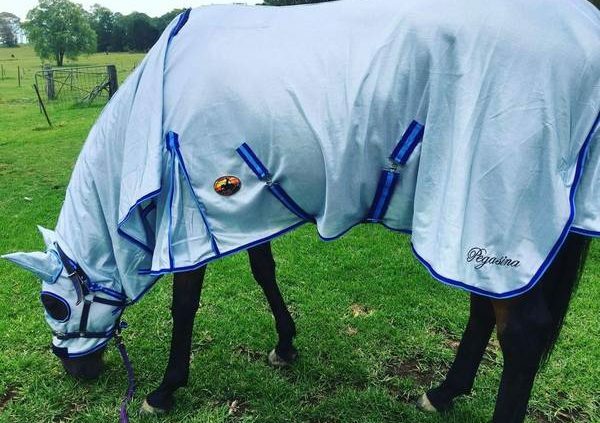 Extended wither fleece protection – less chance of the rug putting pressure on your horse’s wither and making them sore. 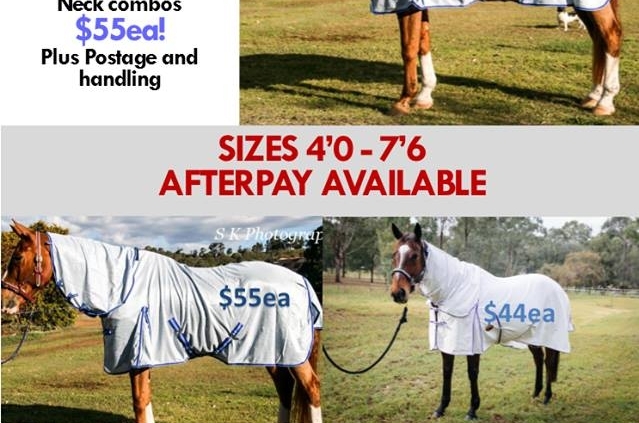 Now that you have discovered why these are the best horse rugs, you can jump on over and secure yours before the sale ends, or your horse’s size runs out. If you ever have any questions about our horse rugs, or you just aren’t sure what size your horse requires, contact us! We are more than happy to help out where we can. Your horse’s comfort and your satisfaction with our products are paramount to us and the key focus of our business! Check it out now! If you are looking for summer rugs why not check out our summer rugs blog post? https://www.bangforyourbuckhorsegear.com.au/wp-content/uploads/2018/08/15936974_741951715969518_4520008797764549603_o_grande.jpg 449 600 BFYB https://www.bangforyourbuckhorsegear.com.au/wp-content/uploads/2018/07/bfyg-logo-min_300x300.png BFYB2019-02-06 11:50:252019-03-14 13:01:52Airmesh Horse Rugs Sale!